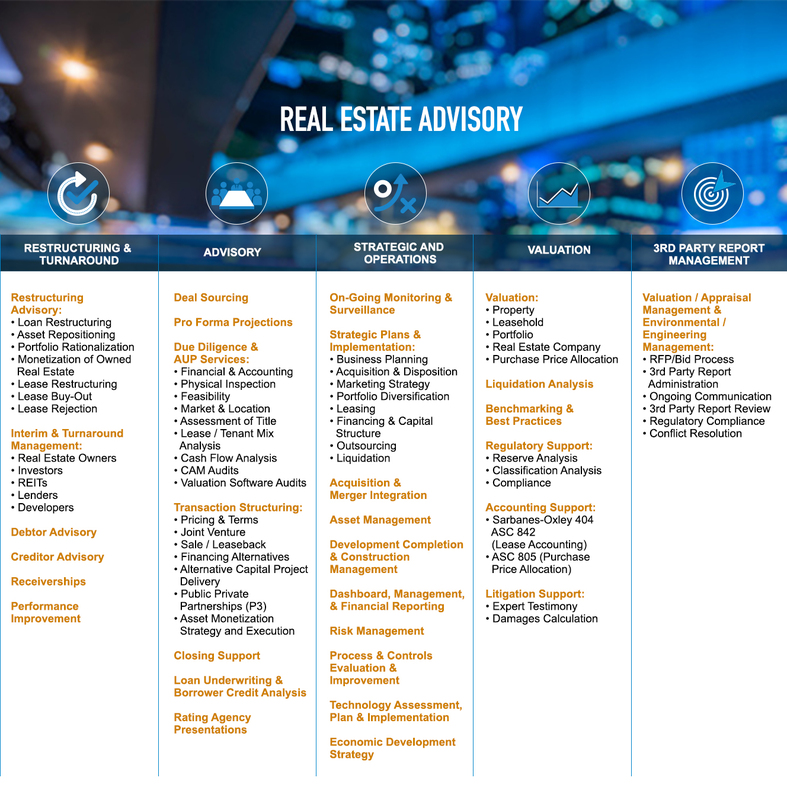 The A&M Real Estate Advisory Services team is composed of highly qualified, multidisciplinary professionals who provide independent and objective analysis including valuation and consultation with specific asset class and geographical expertise. Our team provides an integrated set of real estate services to address the needs of owners, investors and users of real estate, including financial institutions and institutional investors, through all market cycles. We are experienced in providing innovative and value-added solutions to real estate transactions, strategy and operations and restructuring and repositioning solutions for real estate assets. Our team members hold the MAI, ASA, CRE, CCIM and other industry recognized professional designations.